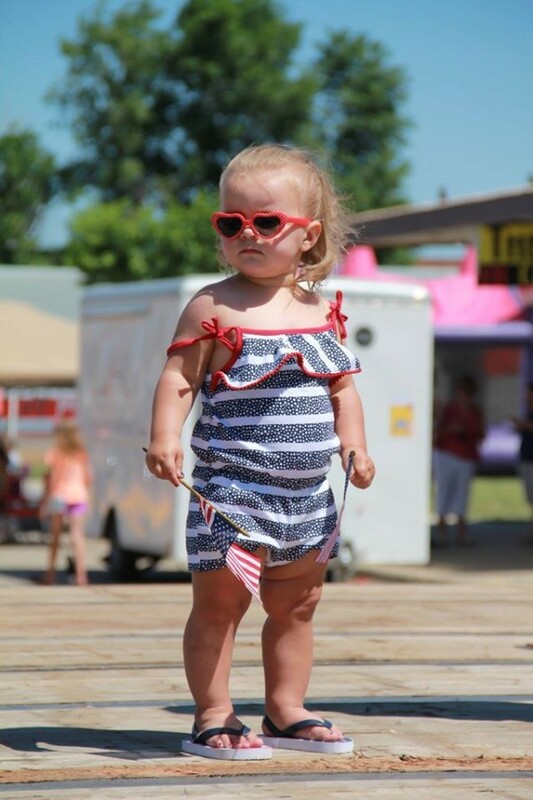 Watford City loves our kids and we celebrate them each year at Homefest by hosting an annual baby/kid pageant. Homefest is an annual community event that is organized to welcome class and community reunions. It features a two night street dance, craft and vendor fair, kids activities, a golf scramble and other special events. The baby pageant is one of the highlights of the weekend because as our town continues to grow, so does the population of young families with young, adorable children. So we give them a chance to strut their stuff. This year on Main Street under the summer sun a total of 27 babies entered the Homefest Baby Pageant. The babies were split into two different age divisions, 0-11 month and 12-12 month, with boys and girls separated into different categories. With such cuteness everywhere you looked, the judges likely had a tough time awarding the special big crown of Miss and Mr Homefest. But no worries, there was enough to be celebrated and enough awards to go out to every adorable munchkin who participated. So, with awards like “Most Personality” and “Miss and Mr. Congeniality” every baby won one or more prizes, donated by Barrett Pharmacy and Variety right here on Main Street. Little Miss Homefest 0-11 was awarded to Monroe Lux Devlin and the 12-23 month winner was Rebecca Swimley. Little Mr. Homefest 0-11 was given to Jaxon Liam Kealiher and the 12-13 month winner was Connor Baxter. It’s a fun little honor, but most importantly the point of the event over the years has been to celebrate the kids and families that are so proud of them growing up here in Watford City!